In 2015, I set a handful of goals for my genealogy research. It was a fantastic list. Fantastically long and ambitious, yet not always very SMART (Specific, Measurable, Actionable, Realistic, and Timely). And I'm okay with that. Don't get me wrong, my preference is certainly to have specific ideas of what or how I intend to pursue a question. Amy Johnson Crow is absolutely right to advocate for SMART goals. It's the surest way to make quick, focused work of seemingly insurmountable genealogy questions. Sometimes, though, to devise how I tackle more challenging research roadblocks, I need to get creative. I need to eyeball the brick wall from all angles. For creativity's sake, I need to be broad and vague. I can't commit to any one approach for fear of overlooking the path with answers. 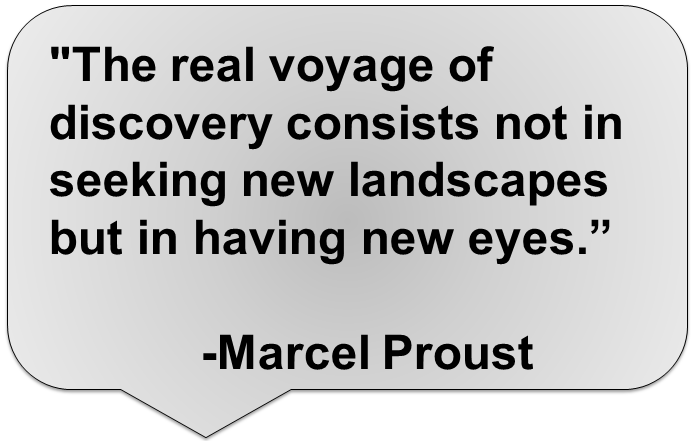 As Proust said, I need "new eyes" to see something previously overlooked. Routinely eyeballing my harder questions in new ways is a messy process that's not always, at first glance, actionable and certainly not timely. It requires me to keep pages of scribbles in notebooks as I think of one approach that triggers an idea for another avenue to follow. In this way, I suppose, I do create individual SMART goals that fold up under one larger umbrella objective that, on its surface, is probably dumb (not an acronym just plain dumb). I made progress on many of the goals I spelled out in January 2015. Check out my 2015 Year-End Review to read about my accomplishments. Some didn't budge because they never made it to the top of my research queue. I may have been overly ambitious and lobbed more on my to-do list than was feasible. For 2016, I remain equally ambitious and excited although not always SMART. Continue to collect and scan old family photos from relatives near and far. This goal is a carryover from 2015 because it was hugely successful. After all, I found photos for seven of my direct ancestors whose faces I had never seen. It stays on the list, and should be on yours, too. Write narrative biographies of my ancestors, beginning with my four great-grandparents. I want to create something tangible for the non-genealogists in my family. 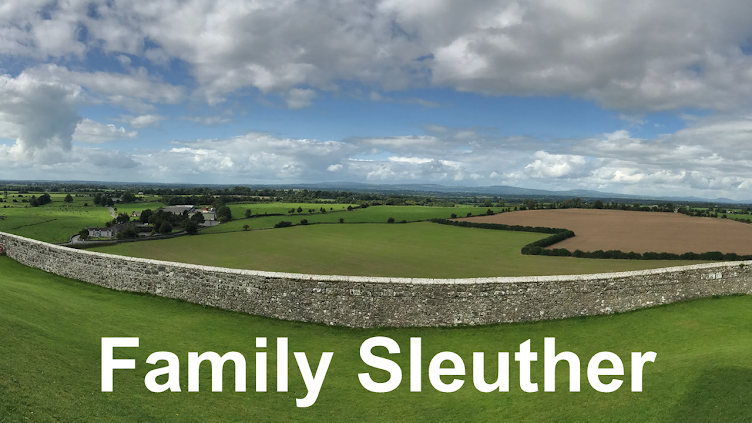 To further build my technical skills and grow my network, I want to engage in more formal ways with my local genealogy community. Although I live in a state where I don't have recent ancestry, I know there's value in joining a local genealogy society to learn and share with fellow genealogists. I was glad to knock one off the 2015 list when I learned the identities of my Italian 2nd great-grandparents. These questions remain at the top of my wish list to answer. Identify Mary Jane (Andrus) Bair's biological mother. You may recall that "Kindly Relatives" built a brick wall. Identify the parents of Thomas K. Stevens and Susan (Day) Stevens. Determine where and when Burr Zelah Dornon died and was buried. Having identified her mother in 2014, determine the whereabouts of Annie (Winkler) Wagnon's father. Over the past year, I pulled at a thread on my paternal line that slowly unraveled and revealed a secret non-paternal event. Both traditional and genetic genealogy identified my biological paternal great-grandfather as Samuel Kirk. He was not the man who I believed was my great-grandfather and who raised my grandfather. I have now mapped out Samuel's paternal ancestry and hit a wall with my 5th great-grandfather Thomas Kirk. In the coming year, I intend to focus on identifying his parents and their ancestral origins. Thomas Kirk now has a coveted spot in my Research Attic. Here's to a year filled with brick wall busting genealogy research. Happy New Year!